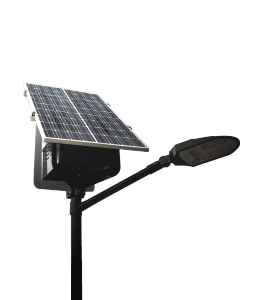 LightWave, the Solar Led Street Light of OffgridSun is the ideal solution for lighting squares, roads and intersections in all cases of non-availability or excessive cost of the grid electricity. LightWave can also serve as emergency lighting system in case of any power outages. 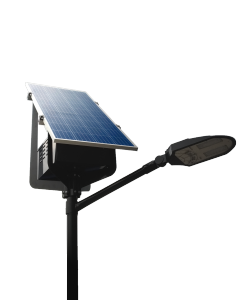 The Street light system is conceived for rough operating conditions and built to last. All components, in fact, are characterized by a distinguished constructive quality, long duration and high energy efficiency. Technologically advanced. Lighting duration is managed automatically, depending on the actual duration of the night and on the charge level of the battery pack with a significant extension of the battery’s lifespan. New design with a optimized pole-head structure to reduce transport cost. Designed in Italy No. 1 OffgridSun 160 Wp polycrystalline module or No. 2 100 Wp monocrystalline modules with 36 cells.